Follow along as we build Alberta's first Passive House, an ultra-low energy home that uses 90% less energy for heating and cooling. 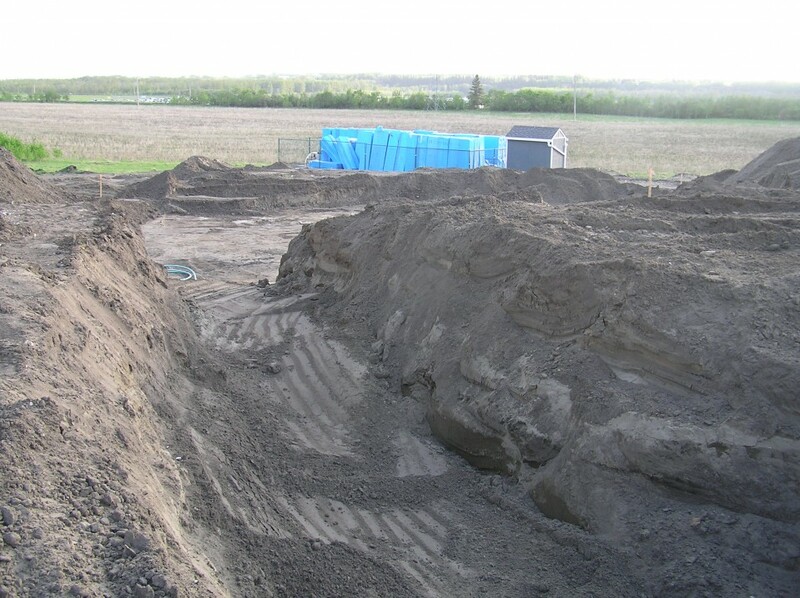 Excavation was fairly quick, and started at the end of May (May 24, 2013). For the purposes of overall construction timeline, we’re going to call this the start date! Digging! As you can see, many of the other houses in the neighbourhood are already complete. We’re getting a bit of a late start due to weather and a very busy construction climate. This is the view looking to the southwest. At the back of the site, you can see the stockpile of EPS insulation (covered in blue plastic) that will line the foundations to provide thermal isolation from the ground. 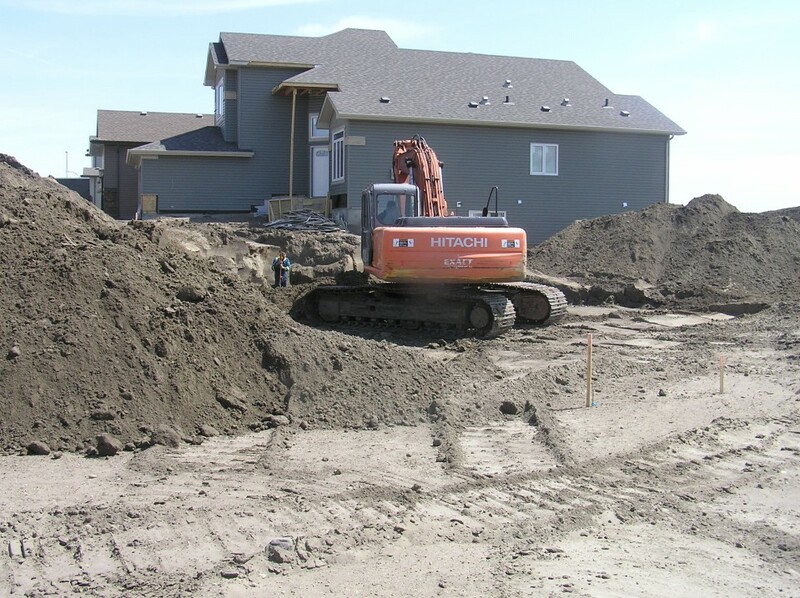 Excavation for the stepped footings. 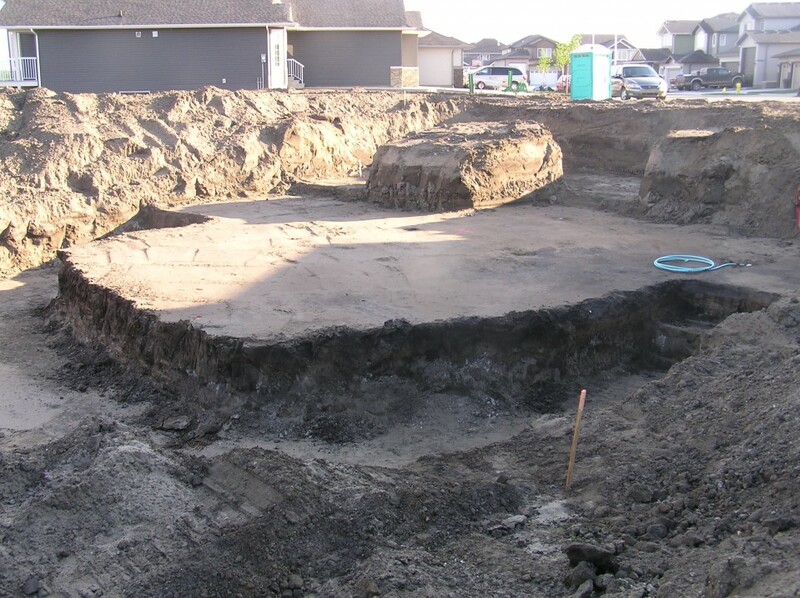 The mound at right will be the area under the attached garage. 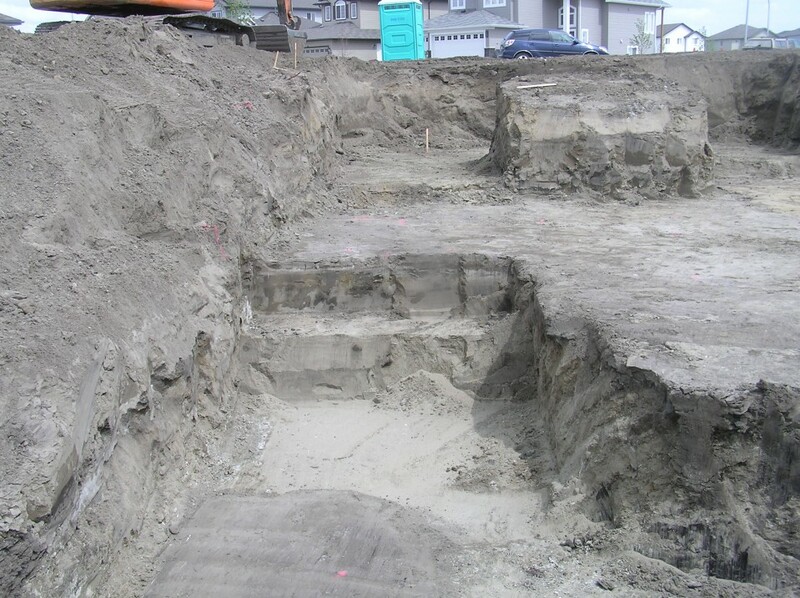 The finished excavation. The “trench” in the foreground is for a 4′-0″ deep frost wall at the back of the house for the basement walkout. Man, that is some easy digging! And so dry!